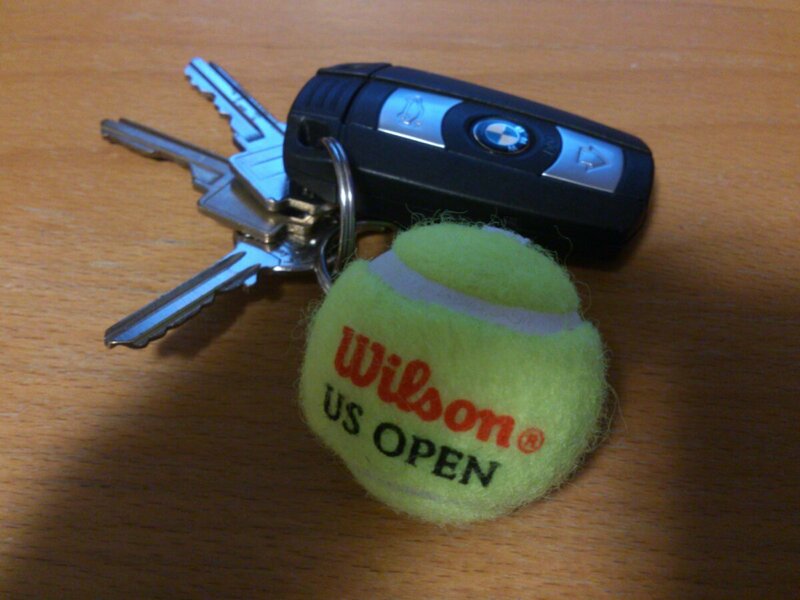 fresh out of the package and sporting my new mini tennis ball keychain. been looking for this keychain for a long long time and its finally in my own hand. good thing the shipment arrived just in time for us open this year. and not to forget its andy roddick’s birthday today, happy 31st!! he had me at the first sight. from an explosive youngster to his prime and beyond, i watched him pound tennis balls on hardcourt. i watched him beat my then favourite player pete sampras, break fastest serve records, played marathon matches, held numerous titles, and won us open 2003. but most importantly, watched him grow into the player and competitor i came to love and idolized. without question, roddick played with passion and showed that he had a big heart, heart of a champion. i remember feeling the deep sorrow when he announced his retirement at last year’s us open. no matter what, roddick will always be my favourite tennis player of all time. thanks for all the memories and good times you have provided all your fans and wish you nothing but the best. i miss watching and cheering for you.